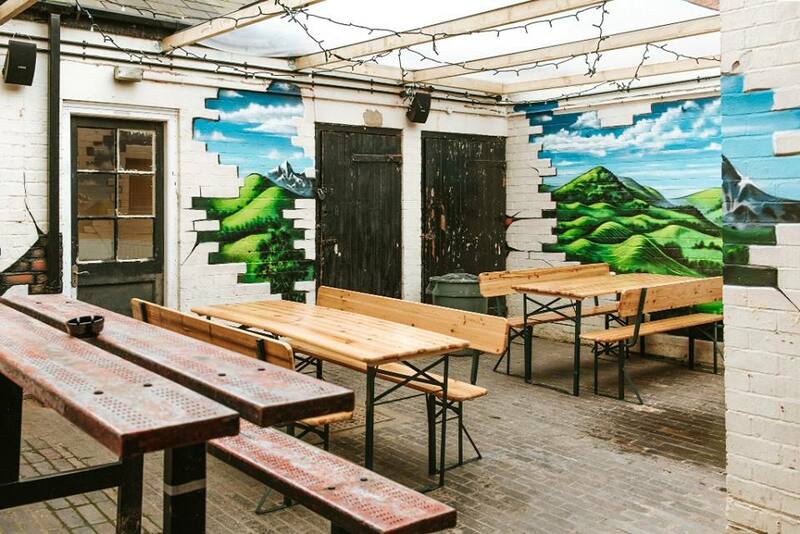 Down in the heart of Digbeth, rumours have reached our ears of a new pub. 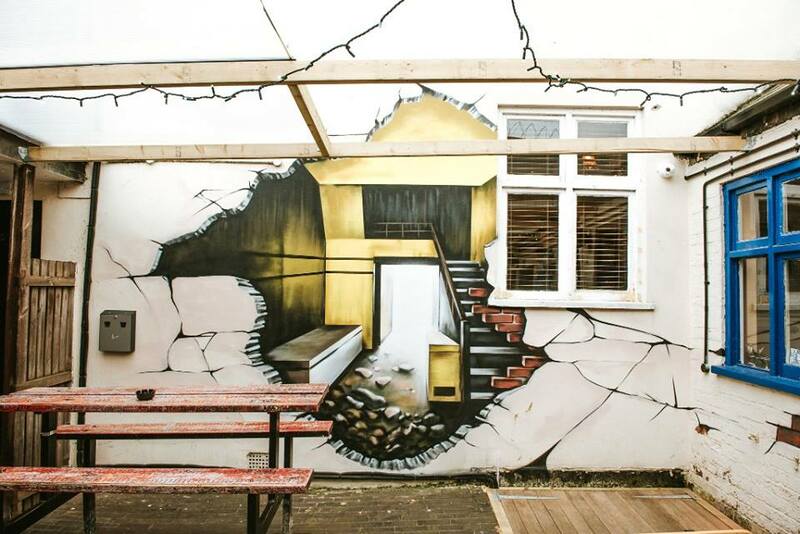 Located on the corner of Floodgate Street and Little Ann Street in Digbeth, The Ruin is a quirky take on the traditional British pub, full of character and charm. We all know how a traditional British pub should be. We conjure up images of roaring log fires, surrounded by wooden tables and chairs, traditional ales on tap and the group of locals nattering in the corner. 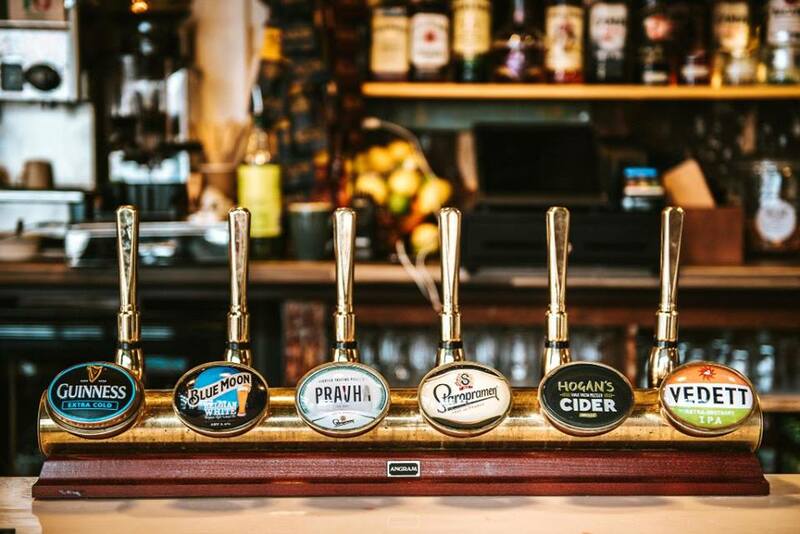 The Ruin has the essence of this traditional pub vibe but with a European twist and a few quirky curve balls thrown into the mix for good measure. There are a number of different rooms and areas to the pub, each with their own individual theme and vibe. 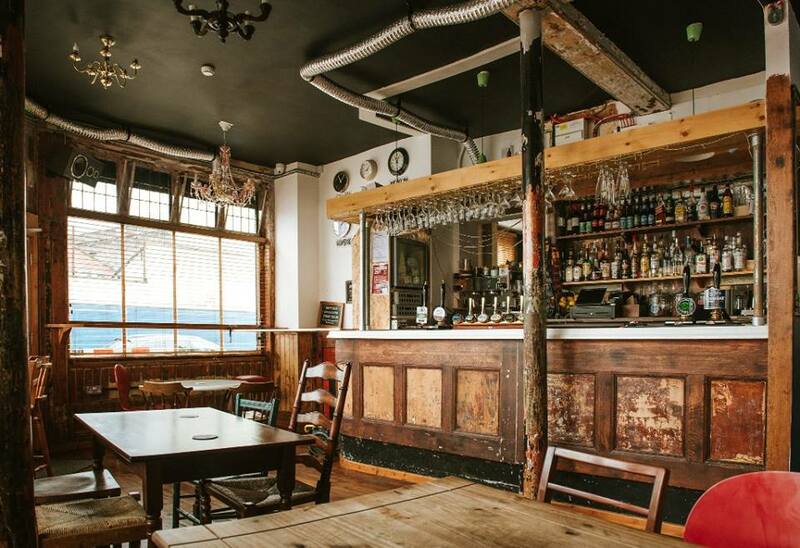 The main bar area has a very DIY approach and draws on traditional vibes, with the stripped back woodwork revealing snippets of the building’s past (the building has a deep-rooted history of previous pubs, and more recently a milkshake and smoothie bar). A mish-mash of lighting and an assortment of different chairs provide the bar with a certain bare-yet-cosy charm. 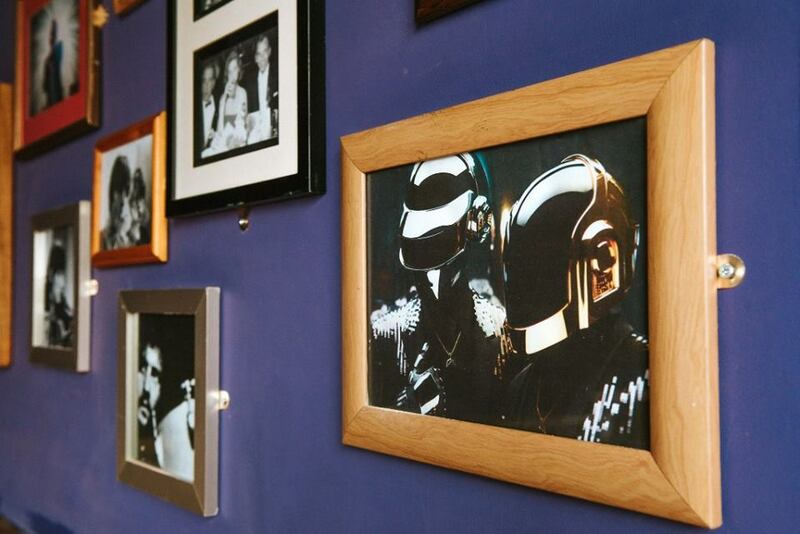 The ever-growing ‘Wall of Fame’ in a side room features famous musicians, and hints at the importance of good music to the pub. The library is exactly how you’d expect a library to be. Complete with leather sofas and hoards of interesting books. You could easily get lost in here for a few hours as you peruse the shelves and investigate the wonderful collection. There’s even a selection of boardgames to help you escape the busy streets and spend a few hours absorbed in your own little world. The former ‘snug’ has been turned into an eccentric ‘computer nerve centre’ featuring a dozen or so computer screens showing old computer programs, platform games and flashing lights. Also prominent in this room is the fireplace, showing more of the building’s character, charm and original features, with 80s style cladding torn away to reveal 70s wallpaper surrounding the original, crumbling, tiled walls. The outdoor areas are also a marvel, with the beautiful murals being a huge feature of the courtyards. One of these features rolling hills surrounded by painted brickwork to give the impression the wall has been knocked through. And in the smaller, rear courtyard there is a permanent, shining sun (something we definitely need in this country), brightening up even the dreariest of days. Of course, as a pub, we couldn’t possibly talk about The Ruin without mentioning the drinks they have on offer. 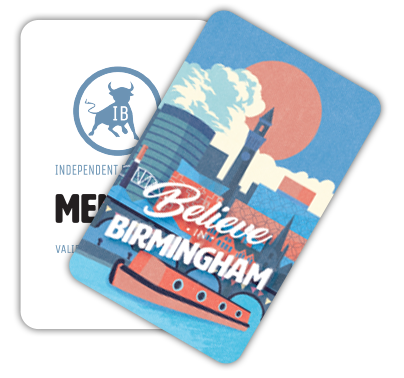 The Ruin is currently one of only two places in Birmingham to offer Vedet IPA. Also on the offering are Blue Moon, Pravha, Staropramen and Hogans cider (from Stratford). Citra and Atlantic ales are a regular fixture on the menu and there’s always at least one tap on rotation with local breweries such as Two Towers and Davenports as the guest. If beers and ales aren’t your thing, they also serve classic cocktails from Old Fashioneds to Espresso Martinis, and more in between. 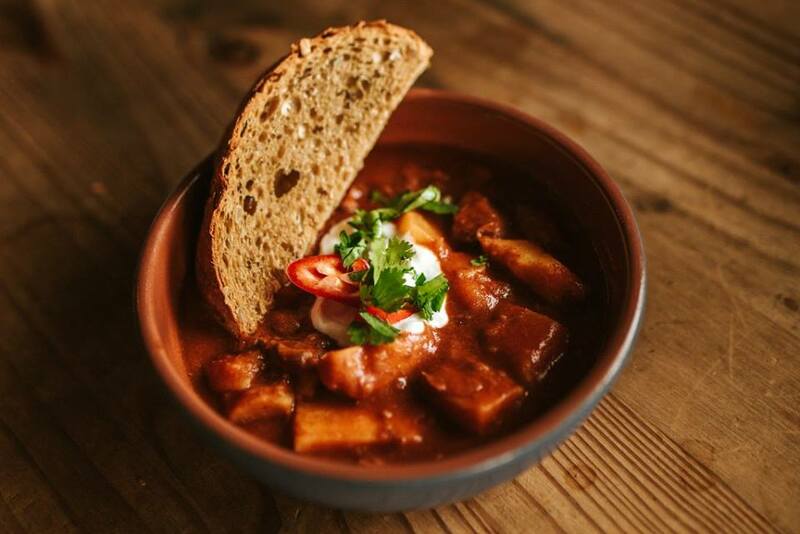 The food menu takes inspiration from parts of Europe with their signature dish being Ruin Goulash. 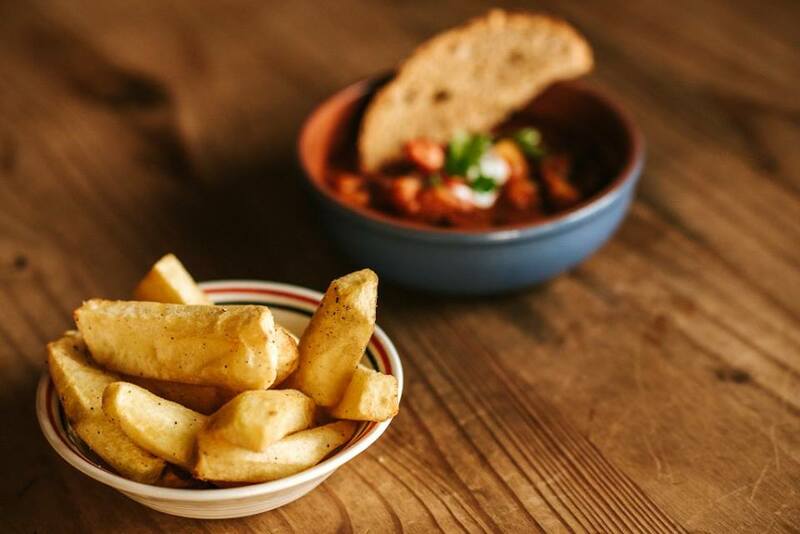 Also on the menu are the likes of lamb koftas, pizza-style khobez flatbreads and a range of gluten free and vegan options to cater for everyone. If you like your coffee, they also serve a rather decent brew, using beans from Midlands roaster Iron & Fire. Music is also of great importance at The Ruin, from the carefully-curated playlist to set the tone of the evening and add to the atmosphere, to the DJs who provide the beats on a Saturday night. Playing everything from funk, to soul, to RnB, they’ll get you into the groove. From the derelict, unfinished décor (playing wonderfully on the name of the pub itself), to the eclectic, European-influenced menu and the quirky features in the different rooms, this place has a certain je ne sais quoi. The Ruin lives up to its name, but as a place with so much character and charm, its hard to stay away.